On a rainy Kawagoe day, we ventured west to Wakaba in search of Nitori, best described as the Japanese Ikea (although there actually is an Ikea in Saitama). Not unlike its Swedish sister, Nitori is chalk full of useful household items as well as items you never knew you needed until you saw them in their full big box store display glory. Take this item, for example. 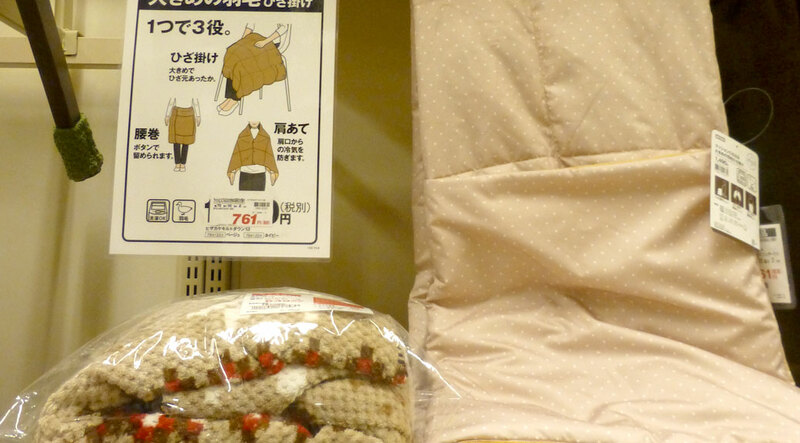 For just 761 yen (around $7.60), you get not one, not two, but THREE items in one! This miracle product goes from blanket to shawl to skirt in seconds. Amazing! 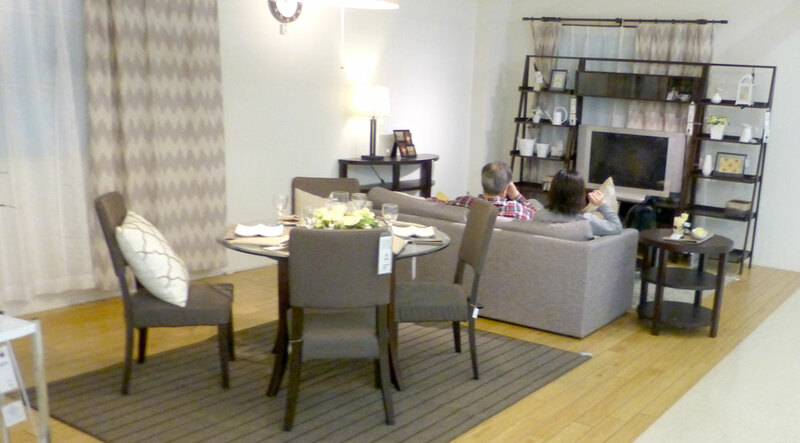 Best of all, Nitori has also copied Ikea’s best feature (well, maybe second best feature after the snack bar), the demo room. 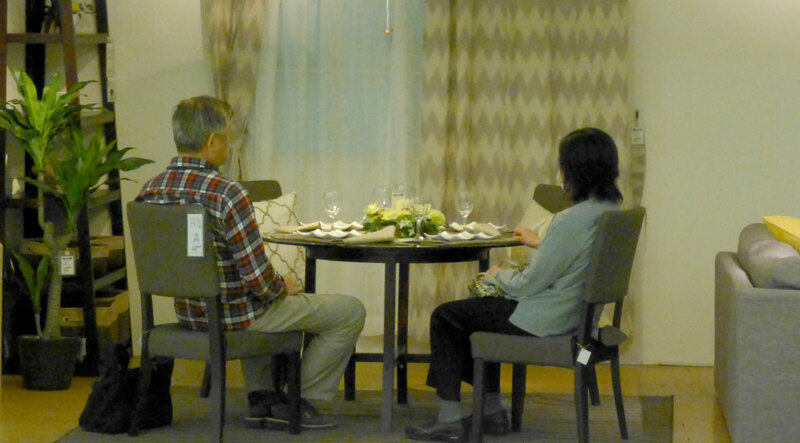 This Japanese couple appeared to be imagining themselves sitting down to a nice dinner. Perhaps those glasses are filled with red wine or sake, easing away the stress of a long day at the office. After dinner, they’ve retired to the living room. Nuzzled closely on the couch, they’ve tuned into their favorite NHK television show and settle in for a lazy night with their new furniture set from Nitori. 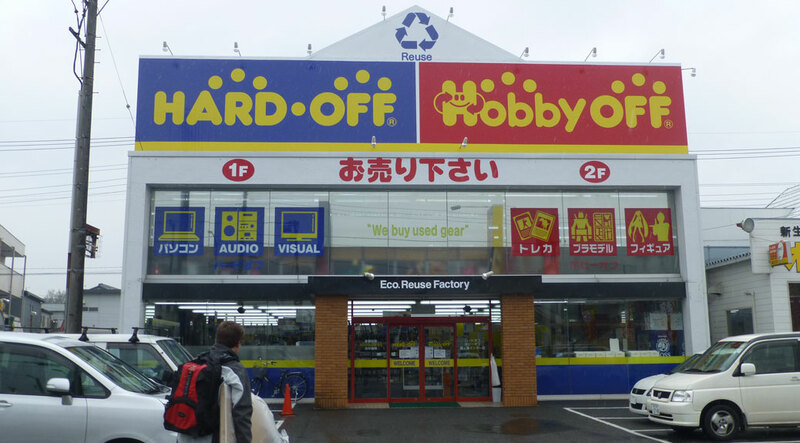 Across the street from Nitori is Hard-Off and Hobby-Off, a chain of second-hand electronics as well as new toys and collectibles. 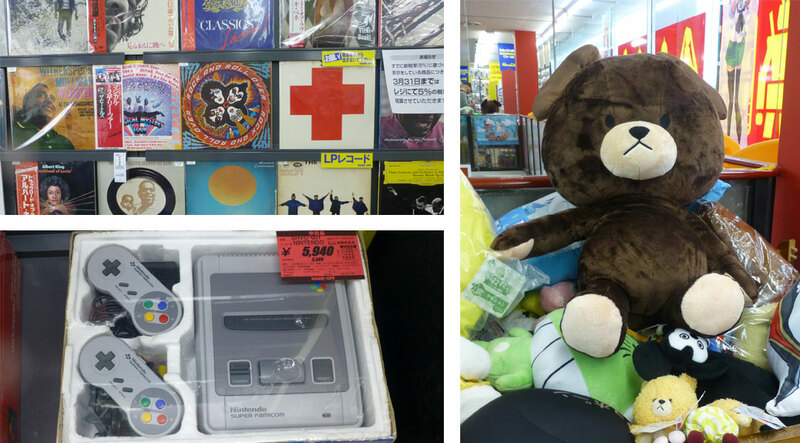 Among the many gems found inside, a classic rock album wall featuring the likes of KISS, Aerosmith and the Beatles; a teenage dream of video game consoles, including the Japanese version of the Super Nintendo, Super Famicon; and a crib full of grumpy teddy bears. Our rain-soaked journey through Wakaba wrapped up at Ringer Hut. From the outside, it looked sorta like an Alpine villa. The line out the door has been a good indicator that something delicious is waiting inside, so we ventured in. 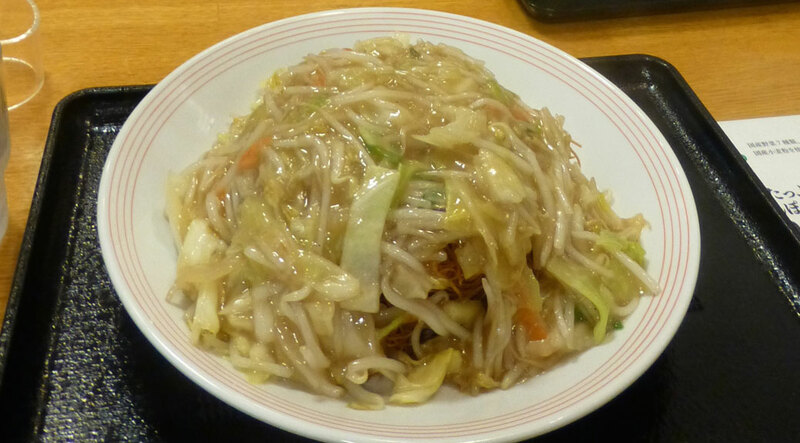 The food was the usual fair of noodles and soup, but served with what seemed to be their famous sauces. A ginger sauce and a lime sauce added a zing to the dishes. It was also my first chance to practice modifying our order to take out the meat and fish. Our vegetarian versions of the lunch special were quite good, especially with the addition of Ringer Hut’s Signature Secret Sauce. I hope you bought that shawl/skirt thing. If not, I’m not sure we can be friends. LOL… I think you should add this to your Random Knit shop! It’d be a top seller, easy!